Most of us don’t give a lot of thought to air pollution unless we can see it or smell it. Indoor air pollution often figures even less, even though indoor air is something that can make so many people so utterly miserable. My wife, for instance, has asthma and cat allergies, gasping like a broken pipe organ when any felines are nearby. Then there’s the multitude of friends who despise spring and the hay fever hell that it brings. We may delude ourselves that being in ‘clean, green’ New Zealand means we don’t have to worry as our air is cleaner, but the reality is often very different, especially when it comes to the inside of our homes according to a survey that followed a recent Government report into New Zealand’s air quality. The study also highlights misconceptions of indoor air pollution, many of which are making matters even worse. Amazingly 50% of the Kiwis surveyed believed household rubbish smells are a cause of indoor air pollution, while only a small number of Kiwis surveyed recognised household items like furniture (6%) and fresh paint (19%) – both of which can emit harmful volatile organic compounds, or VOCs in science speak. On a more positive note, 53% of those surveyed recognised that outdoor air pollution coming inside is a big contributor to indoor air quality. That said, over 92% of those surveyed said they regularly open windows to bring clean air into their homes. Unbeknownst to many, air fresheners and scented candles are also contributors to indoor pollution, yet a quarter of the people surveyed said they use these to improve the air quality inside. Robyn Phipps, a professor in Construction at Massey University says: “While we like to think the air quality in New Zealand is relatively good, there are some places around the country where the outdoor air quality is not so good, and this will impact on indoor air. None of this has been wasted on the folk from Dyson, whose bladeless fans and super sucky vacuums cleaners have long been popular with kiwis. Dyson has done what they do so well and have taken something as dishwater-dull as an air purifier and added in a dollop of excitement thanks to retro cool industrial design and a liberal dose of smarts and ingenious engineering. Now staying cool in summer can also help make the air in your home just much sweeter. 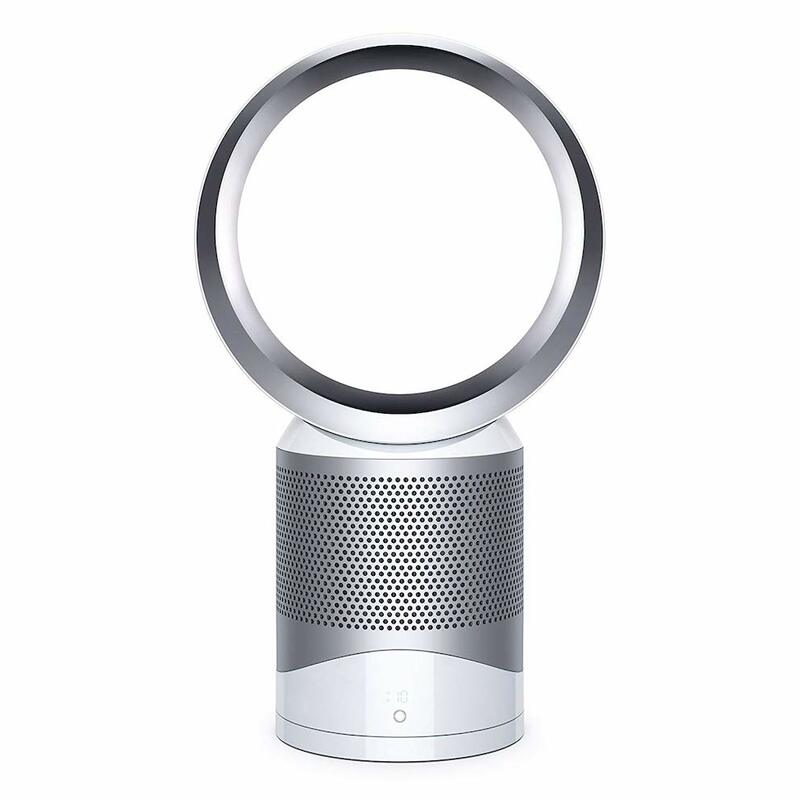 Even better, the Dyson Pure Cool can also keep you in the know about just what it is that you’re breathing when indoors. 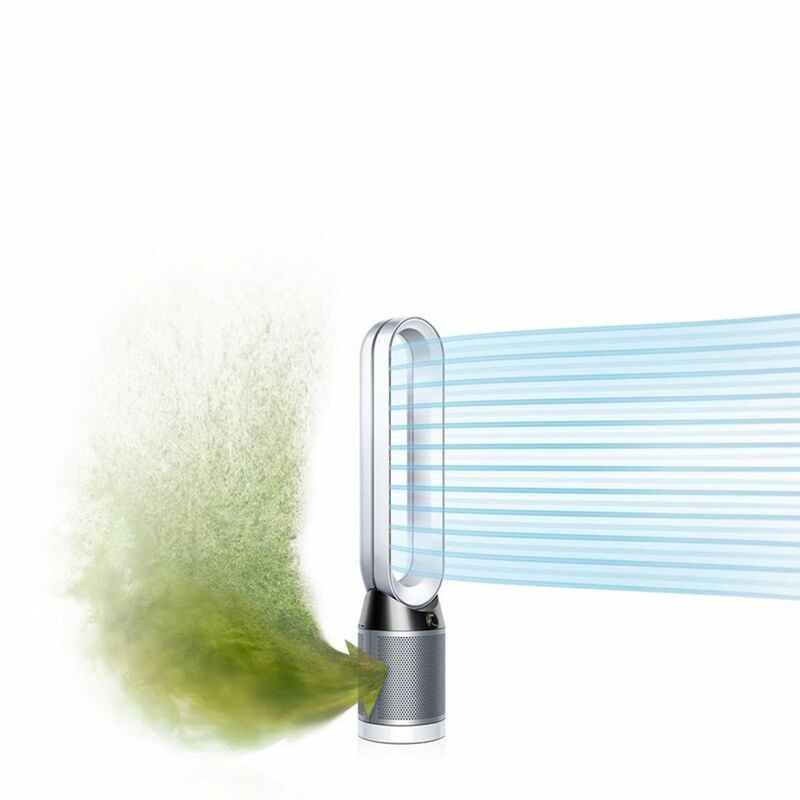 The Dyson Pure Cool (such an apt name!) 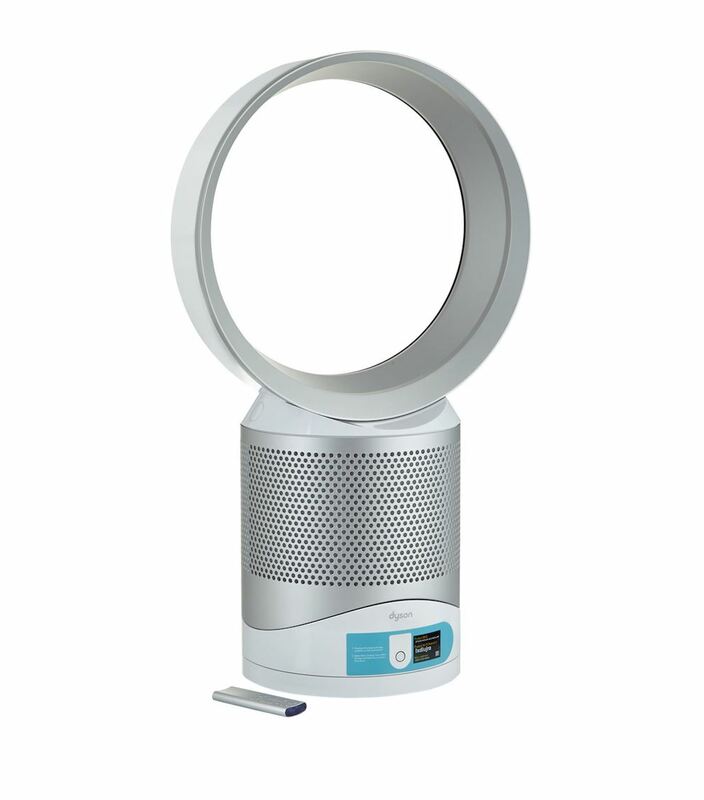 takes Dysons bladeless fan, adds in advanced air filtration, sensors and a display so you can see what and how much pollutants would have been making their way into your lungs if you’d not been using the Pure Cool. 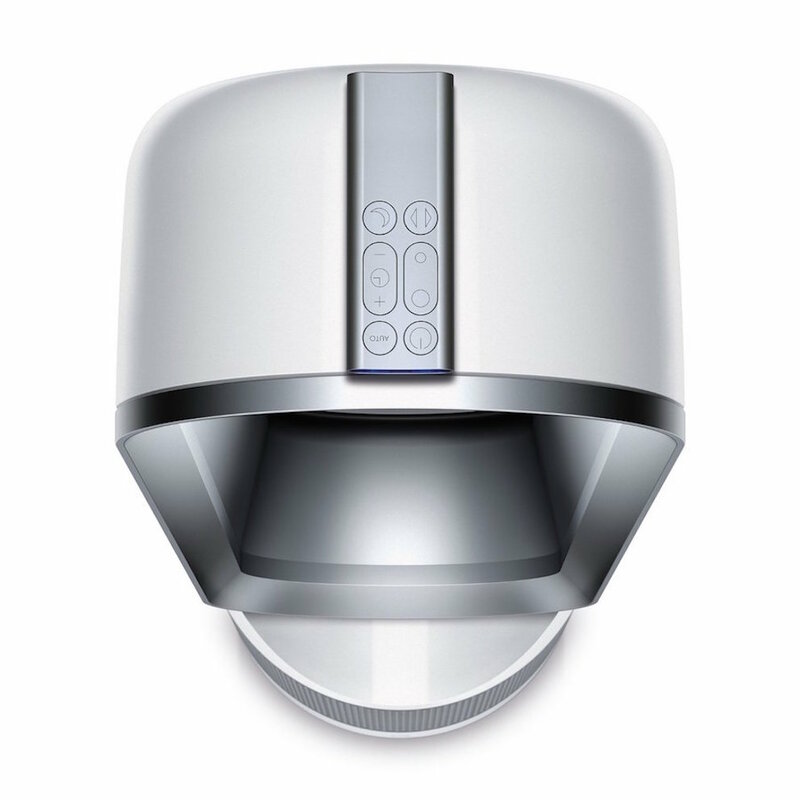 Like most Dyson gear, quality commands a premium, and The new Dyson Pure Cool is no exception. A quick check on pricespy.co.nz reveals the Pure Cool typically retails for around $799, while replacement filters sell for $85.99. It’s a lot of money for a fan, but then you do get a lot of fan for your money, besides, what price can you put on clean air? As with earlier Dyson fans and heaters, the Dyson Pure Cool comes in a futuristic silver on white finish that’s straight off the set of a 70’s sci-fi show like Space 1999. 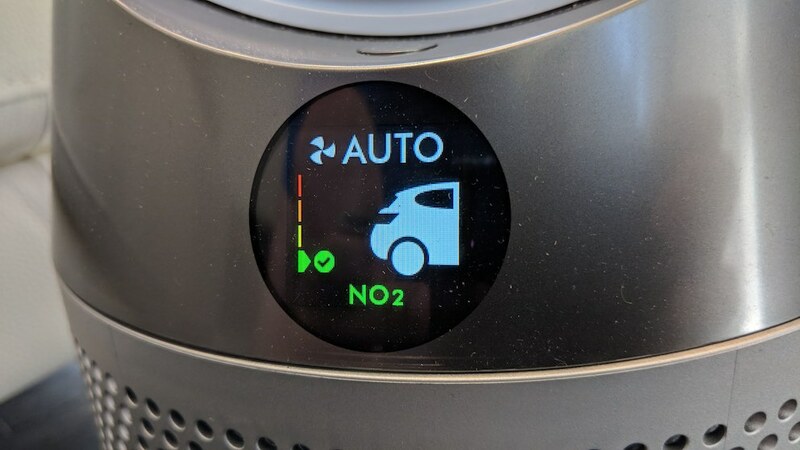 It looks almost identical to last year’s fan, with the single most noticeable difference being a small circular display atop its base which provides an at-a-glance update on air quality in the form of a colourful line graph. It can take a bit of time to get familiar with the many different numbers and symbols it can display when driven by the bundled remote or the updated iOS/Android mobile app. At its launch, Dyson showcased just how powerful the Dyson Pure Cool is. It cleared out a Perspex square the size of a small room of smoke in seconds. It also blew giant soap bubbles down the length of a typical hallway in a demonstration showcasing the strength of the stream of fresh air that can be cranked out. Being able to see how many pollutants are in your home’s air and watching them decrease in real time as the Pure Cool does its thing is pretty nifty. 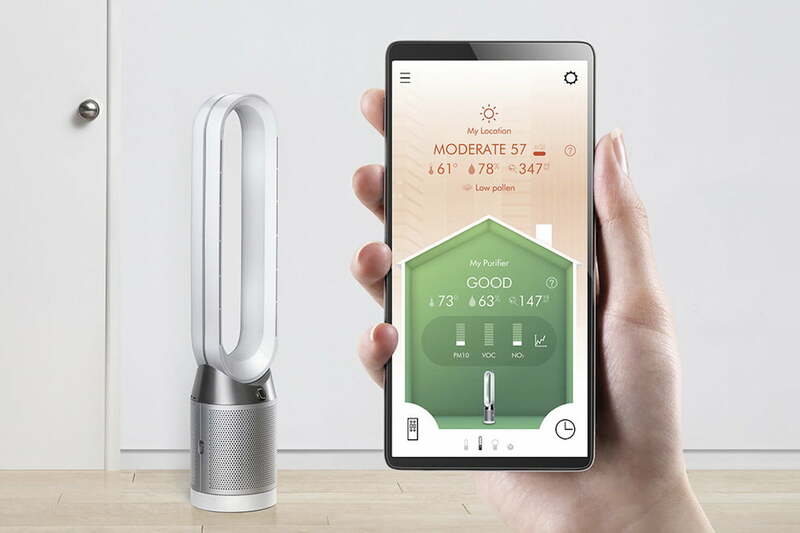 Aside from providing remote control (even when you’re away from home), the iOS and Android app will allow you to access historical air quality and humidity/temperature information. As with previous fans/heaters, there is a small remote that attaches magnetically to the top of the circular air outlet. Its small and intuitive to drive, allowing you to adjust fan strength and rotation as well as switching on a quieter night mode to ensure your sleep isn’t disturbed. The Pure Cool is verily cool indeed. If you’re looking for a way to stay cool this summer and for help with asthma and other allergies it’s a great option: Well designed, intuitive and well, cool. For anyone battling hay fever or asthma or simply wanting a good sleep on a hot summer’s night, the Pure Cool is worth checking out.